“Matanzas on the Bay” (formerly Matanzas Restaurant) has been a favorite amongst Fort Myers Beach locals and tourists for over 25 years. Brian Joseph Studios took over the web hosting of the Matanzas Inn website and their sister restaurant, Pierside Grill, several years ago and we’re delighted to announce that over the past few months we’ve been working with them to launch new websites for each of their accommodation and restaurant properties. The new MatanzasOnTheBay.com website is a custom designed and coded website built on the WordPress framework. Our team of web designers and developers in Fort Myers and Naples Florida worked closely on this project (and of course carried out some field research by enjoying shrimp burgers and cold beers!) and the outcome is a beautiful web design and a user-friendly, modern website that not only looks great on all devices, but also makes it easy for visitors to access information quickly. All too often restaurant websites only offer the visitor with pdf menus, and this is not only taxing on mobile device users’ mobile data and storage, but it’s also not very user-friendly. 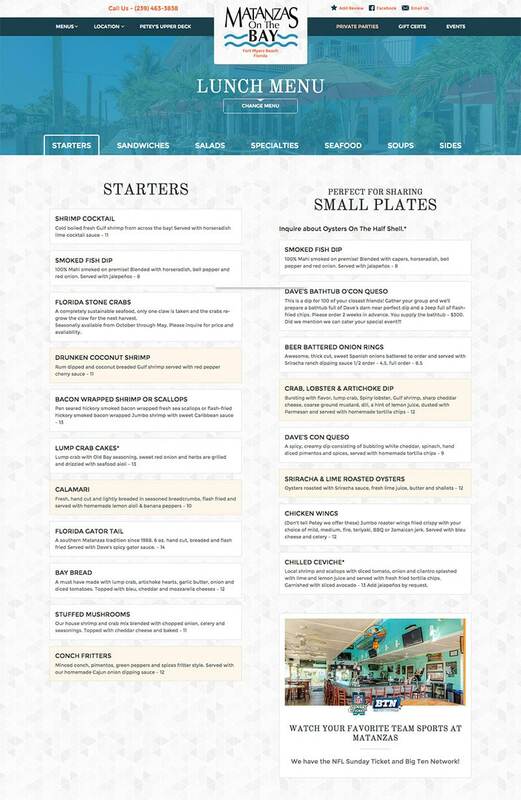 Our user interface designers knew there was a better way, and so we designed and coded stunning menu pages that are extremely user-friendly, intuitive and quite frankly, the way restaurant websites menu pages should be! There aren’t any huge pdf files to download and there’s definitely no need to pinch and zoom. Website visitors can also purchase gift cards directly onsite using the ecommerce platform that we seamlessly integrated into the site, and the restaurant managers have the ability to track sales and edit any content through the easy to use admin tools. Our team created an awesome website for Matanzas on the Bay that feels like an app when using it on mobile devices. 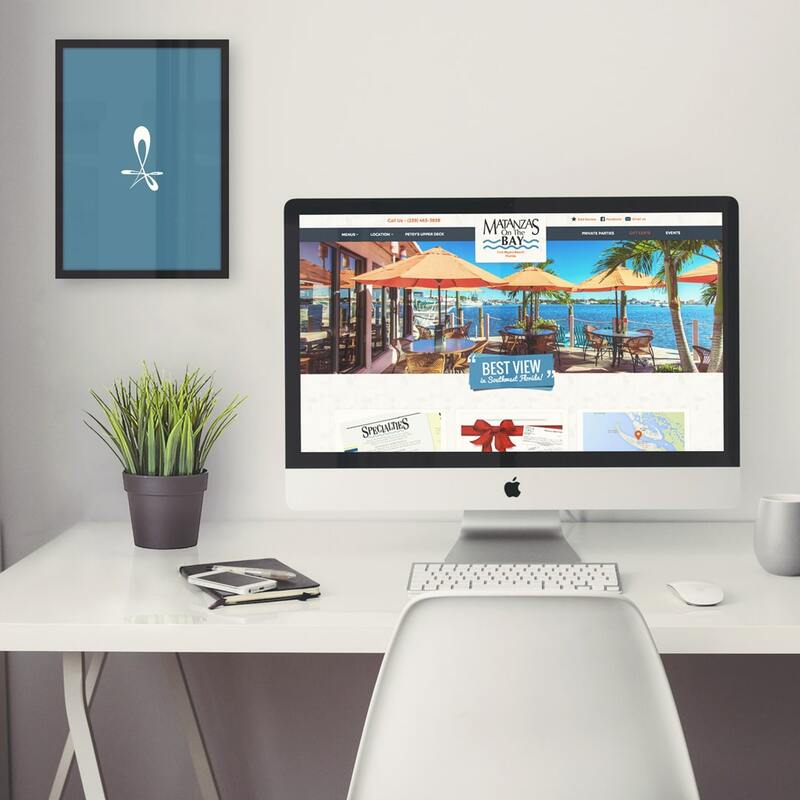 Various functions like touch-enabled slideshows, click-to-call links and intuitive user interface elements all work together to create the perfect online presence for this popular restaurant in Fort Myers Beach, Florida.